When you spend most of your time at the office or just in front of the computer screen, sometimes things can get a bit tedious. Sure, there are breaks for lunch, making calls, or running any other important errand. But what do you do to stimulate your creative muscles? If you need an item that can help you relax yet stimulate your brain, you should give a shot to the following gadgets that we’ve selected for your consideration. This piece of decoration from playableArt is an original gift for anybody who loves science or likes smart things and intricate mechanisms. With just one gesture, the device transforms into a helix from a pine to a helix and the other way around. The system consists of thirty-eight laser-cut individual pieces of wood on a brass tube, which move together smoothly. To be an ideal decoration, it comes with a wooden display stand, that is both high-quality and appealing. The packaging is designed to please, as well, what with its gift box and magnetic catch. For an original individual, this could be an excellent choice that would bring a lot of joy. This sure is a memorable gift for someone curious about the wonders of science or for a teacher that wants to show young minds that nature and science could be fascinating. The product is dry, and it won’t stain so you can play with it safely, being easy to wipe off. It’s ideal when it comes to hours of mind-stimulating fun, and it’s great for learning about magnetic fields and magnetic interaction. 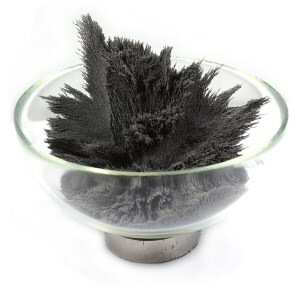 The 12oz container is filled with ultra-fine iron filings which you can mix with sand to make this experience even more interesting. It will aid visualizing magnetic fields and will show you just how cool nature can be. This is a mesmerizing product that you will keep looking at and never get tired of. It’s a kinetic sculpture that can act like a toy, an educational instrument, or a smart decoration. It’s an interactive novelty that folds and opens surprisingly, making everyone turn. The bag the product comes with ensures you can carry it everywhere or deposit it safely. This kinetic item is handmade, providing every product is unique. If you roll it up your arm, this interactive toy can be passed from one to another in hypnotic movements, almost like a metallic soap bubble. It’s a lot of fun. 3D puzzles offer hours of entertainment and put your mind to work. And when you’re done building them, you’ll feel long-lasting satisfaction. 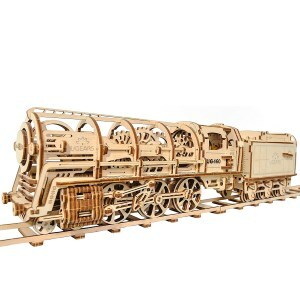 The wooden puzzle comes in the shape of a locomotive, bringing a touch of nostalgia and steampunk to your desk, where it can act as a decoration. It comes with a high number of pieces, that will challenge your imagination. It’s made of quality wood, ensuring resistance to the parts and the rustic design. The model is accurate, resembling a real locomotive. It also doesn’t require glue, so you can take this product apart and rebuild it anytime you want. A puzzle game can make an excellent gift for a curious mind. For a smart kid that is not satisfied with something simple. This product can offer a significant challenge for anyone, and keep boredom at bay. 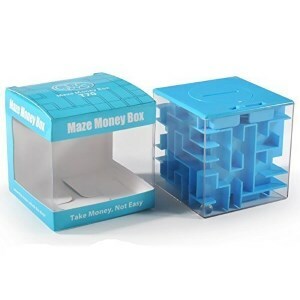 It’s a brain teaser in the shape of a maze which challenges people to find the quickest solution to its mystery. The puzzle comes in different colors to suit any taste and is made from materials that are resistant to extended use and even to dropping. This product can also double as a secret storage for you or can even become a small piggy bank. It’s the perfect combination of fun and usefulness. Anxiety is part of everyday life. With the help of this option, you can learn to avoid it or to eliminate it. It’s so small and compact that you can carry it with you anyway, ensuring you have a tool to cope with stress anywhere you go. 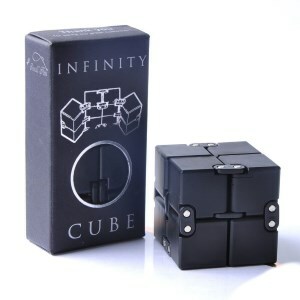 The cube is built from premium plastic blocks, giving this product resistance and making it non-toxic and safe to use. The blocks are connected with stainless steel chains, so you can use the gadget as much as you need. You can do a lot of tricks with this product and can be used by everyone, even kids, unlike the classic fidget spinners. We spend most of our adult lives locked inside offices or common cubicles, working for the profit of others and sometimes undergoing a long period of stress. As a result, we receive a payment at the end of the month and, if we’re lucky enough, some bonuses and even some extra days off to actually live our life. Since we do spend all the good hours in a day inside gray buildings, often enough employers try to accommodate their employees as good as possible for better outputs and minimizing the sensation of claustrophobia or uselessness. Although some desk jobs don’t require any type of creativity but simply following the patterns and accomplishing tasks, some other jobs require large levels of creativity. In order to avoid creativity being encased in tall walls and artificial lighting, employers do their best to recreate inspirational environments and motivational oases to stimulate their workers. If you feel you lack some inspiration on your desk, we strongly suggest you choose a desk toy to spike your creativity. But since we get that your time is limited and the last thing you want to do in your spare time is wander through stores to find items for your office hours, we have put together a comprehensive buying guide which will hopefully boost your creativity at work and help you make more intelligent decisions. 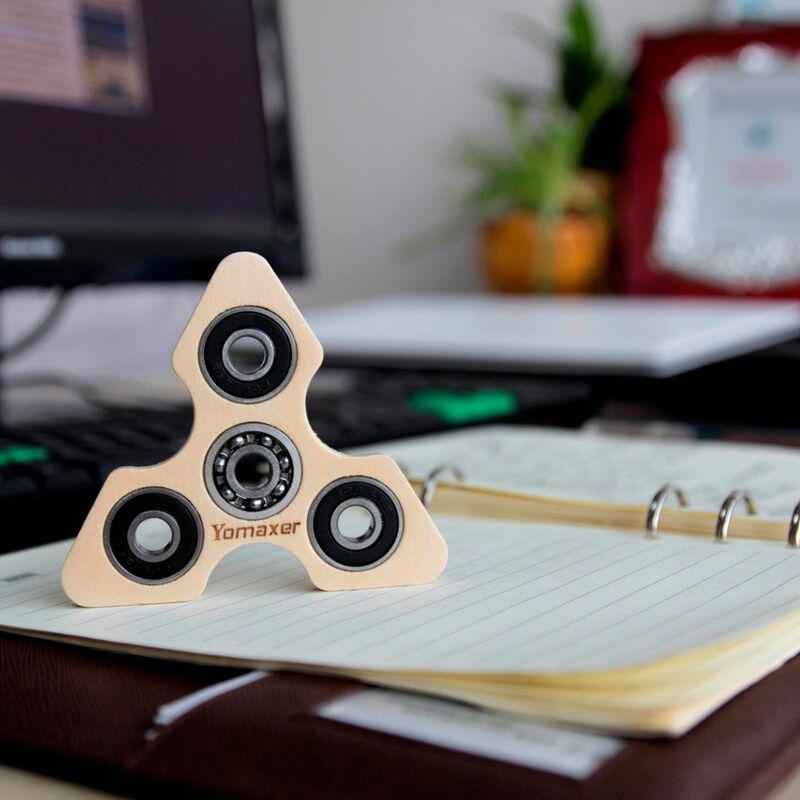 The main idea behind desk toys is not only to spike your creativity but to help you reduce the stress level and manage your anger or negative emotions. Thus, before deciding on which type of cool toy should you place on your desk next, we urge you to consider their main role. Will the product help you control your anxiety? So how do you get to choose the perfect toy for your desk? Without diminishing the importance of any toy company, we do have to stress out the importance of looking for a manufacturing toy company specialized in therapeutical toys. Not all Chinese imported products, no matter how eye-catching, will be able to reduce the stress level at your work and help you better channel your energy towards positive and innovative thoughts. You need something to boost your creativity and increase your motivation, not a poorly made plastic toy that will break after a couple of uses; of course, this does not apply in the case of all affordable products or those that are not made in the US. There are numerous companies on the market manufacturing the type of toys you want and, although they might be a bit pricier than their Asian counterparts, we guarantee that they are of high quality and appropriate for adult use at work. There are also plenty of toy manufacturing businesses deciding to expand their line of production in order to meet new clientele. Thus, you should also check out toy companies with a specific production line for anti-stress toys. The whole idea behind an anti-stress and pro-creativity toy is to get you away from your focusing screens and introduce you into a new world of creativity. You need to rest your eyes for a second and get rid of the working screens you are so used to. Avoid choosing tablets, monitors or smartphones which will only put more pressure on your eyes and make you feel even more tired. We strongly believe that anti-stress toys should be just that – regular, simple, plain toys made out of conventional materials and without too much technology into it. Sometimes, returning to simplicity is the ultimate way of sophistication and stimulating your creative side of the brain. In other words, why not give a chance to the classic anti-stress and pro-creative toys which have been around for decades? 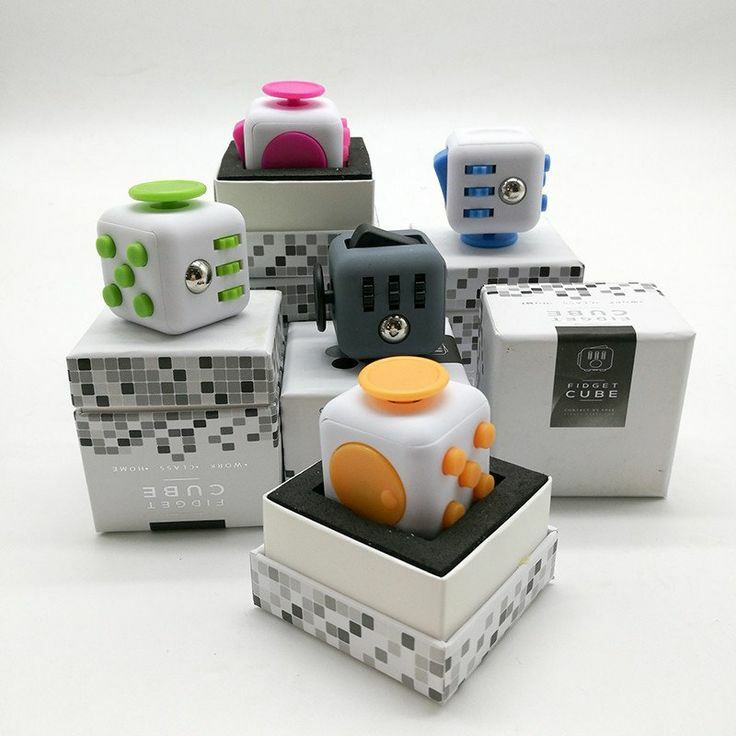 Although we don’t expect you to finish solving a Rubik’s cube in under 10 seconds, this ultimately flawless toy will boost your creativity and stimulate your brain into thinking ahead, planning and finding the right solution. There are numerous twists apart from the original design, but all these additional options ultimately lead to the same goal – find the perfect combination of colors. The toy is perfect for those who want a break from their routine screens. It’s also perfect for keeping your hands busy and your mind occupied to avoid over-thinking some other things. Another classic desk toy is the similarly popular anti-stress ball. The simple ball is made out of fine rubber or other flexible materials to allow you to squeeze as hard as possible only for the ball to come back to its initial shape in a matter of seconds. 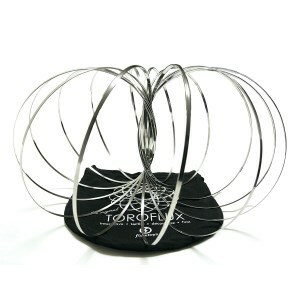 These toys are not only helpful when you are very tense but also when you want to strengthen your hand muscles. Squeezing the ball in your hands creates a pressure and effort in the entire hand which will contract the muscles and helps release stress in the end. If you are tired of the classic toys we could suggest something more calming which will certainly bring back your peace and serenity. Specialists say that the easiest way to cope with stress and let all your troubles go away is to simply take off your shoes and walk barefoot on sand or grass. This will allow you to draw your energy from nature and rekindle with the cosmic energies. Obviously, stepping on real grass or sand in an office is quite difficult, but what if you just had your own oasis of quietness and peace? The beach break mini sandbox is filled with everything you want for a short-term vacation right in your office. Complete with a lounger, seashells, bucket, umbrella, and a rack, this mini sandbox will help you restore your inner peace. If you’re not really in the mood for Zen therapy, another way of easily restoring your creativity would be through mini magnetic balls. The tech behind these toys is easy; you have plenty of individual magnets in the shape of beams which you can arrange in different positions to create numerous sculptures or even pieces of jewelry. This will help keep your mind occupied and become more creative with your possibilities. There is no right or wrong design or a shape that couldn’t be achieved with the help of these simple magnets. The sky’s the limit!